Despite all the noise that came out of Washington and news coverage that seemed to divide Americans over this past year, NUCA successfully worked with lawmakers to enact bipartisan legislation that will benefit our industry. Although these stories did not grab headlines, Congress delivered on some of our top priorities. With the start of the 116th Congress on Jan. 3, 2019, this is an excellent time to assess NUCA’s successes in 2018 and look to the new opportunities for our industry moving forward. Investing in Water Infrastructure: In October, President Trump signed into law the America’s Water Infrastructure Act (AWIA) of 2018. This new law, also known as the Water Resources Development Act (WRDA), makes improvements to and increases funding for programs that invest in water infrastructure and is a huge win for our industry. First and foremost, AWIA reauthorizes and modernizes the Drinking Water State Revolving Fund (DWSRF) program, which helps states and localities pay for improvements to drinking water systems. AWIA authorizes more than $4.4 billion for the program through Fiscal Year 2021, which is an increase over recent funding levels. This action is encouraging because Congress had not reauthorized the program in 15 years. By finally acting, Congress is starting to pay more attention to growing water infrastructure problems. Furthermore, AWIA makes critical improvements to the EPA’s Water Infrastructure Finance and Innovation Act (WIFIA) loan program. Specifically, the legislation removes the “pilot” designation for WIFIA and reauthorizes it through 2021. 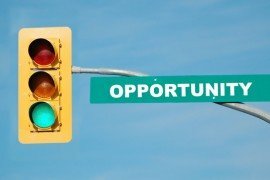 This program provides states, municipalities, corporations, and other eligible entities financing for water infrastructure projects through low-interest loans with extended repayment periods. AWIA also includes the Securing Required Funding for Water Infrastructure Now (SRF WIN) Act, which was a top priority at NUCA’s 2018 Washington Summit. This new law expands access to water infrastructure financing by helping states access loans through the existing WIFIA program. NUCA played an important role in building support for this legislation, and we are encouraged Congress heard our message. AWIA also includes a number of other critical provisions that will help states and localities, and in particular, rural, small, and tribal areas, address their water infrastructure needs. While it is important Congress made improvements to these programs, lawmakers must still appropriate robust funding for them. Thankfully, lawmakers are following through on this front. In March, Congress passed a large appropriations package for Fiscal Year 2018 that increased funding for important infrastructure programs. The package appropriated $2.9 billion for the Clean Water and Drinking Water State Revolving Fund programs, a $600 million increase over 2017. Also, more than $3 billion was provided for rural water and waste loans and almost $1 billion for rural water and waste program grants, an increase of $1.8 billion and $500 million over 2017, respectively—a much needed boost in addressing American’s aging infrastructure. Congress is still working on finalizing these programs for Fiscal Year 2019, but it seems that they should again provide strong funding. NUCA and its members must continue to work to sustain and build on these successes. 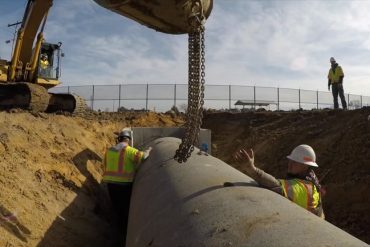 Workforce Development and Technical Education: Another top priority for NUCA has been addressing the shortage of qualified workers in the utility construction and excavation industry. The federal government plays a role in solving this challenge through its support of career and technical education (CTE) and collaboration between employers and potential employees. During the 2018 Summit, we pressed lawmakers to reach an agreement on reauthorizing the Carl D. Perkins Career and Technical Education Act, commonly known as the Perkins Act. The Perkins Act is the main federal support for state and local CTE programs. These programs provide high school and community college students with the knowledge and hands-on experience necessary for jobs in a broad range of industries. Congress worked through their differences, and in late July, President Trump signed into law the Strengthening Career and Technical Education for the 21st Century Act. This legislation reauthorizes the Perkins Act, increases funding for CTE programs, and makes numerous reforms to ensure that programs better serve the needs of students, employers and local economies. Particularly important for our industry, the new law allows CTE funding to be used for career exploration programs as early as 5th grade. These are welcome changes that can help expose students to our industry at an earlier age. 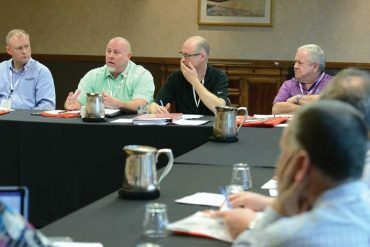 During the Washington Summit and other conversations, NUCA members have consistently expressed their interest in connecting with students, and these changes can help make that happen. This year marks the beginning of the 116th Congress and provides an excellent chance for NUCA to advance member priorities, specifically with regard to infrastructure. With Democrats controlling the House and Republicans controlling the Senate and White House, infrastructure seems to be one of the few issues ripe for bipartisan cooperation. In fact, in their post-midterm election press conferences, both President Trump and House Speaker Nancy Pelosi said they discussed infrastructure as one area where they could work together, and Senate Majority Leader Mitch McConnell also highlighted infrastructure during his post-midterm remarks. Over the last year, Congress and the President have demonstrated their ability to enact important infrastructure bills, including AWIA, reauthorization of the Federal Aviation Administration, and increased funding for water infrastructure programs. This provides some precedent and hope for bipartisan infrastructure cooperation. In some ways, the current political alignment puts NUCA and our industry in a good position. Obviously, we will always be concerned about and monitoring for unwarranted and burdensome regulations that impact our businesses. While Democrats in the House might try to pursue new regulatory policies, the Senate is still in Republican hands. This makes it unlikely that any major legislation harmful to small business and the construction industry would have the votes to clear Congress. In the unlikely case it did, President Trump would be able to act as a backstop against any problematic legislation. The president is also unlikely to initiate any major new regulatory actions. Furthermore, with Democrats in the House and President Trump in the White House, there may be a better chance to secure increased investment in infrastructure. Democrats have made it known they would like to see more direct federal investment in infrastructure. 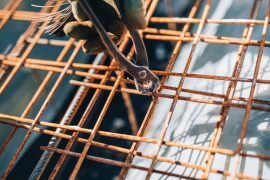 And while President Trump’s initial infrastructure plan was light on federal investment, recent news reports suggest that he would like to invest more money moving forward. 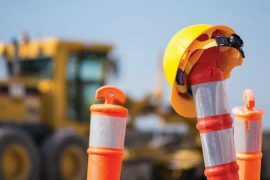 While this bodes well for infrastructure, there are a number of other issues that will compete for lawmakers’ attention. In particular, now that they have control of the House, Democrats will be conducting oversight of the administration. Incoming House Oversight Committee Chairman Elijah Cummings has said that he intends to “shine a light on waste, fraud, and abuse in the Trump Administration.” We can expect to see oversight activity from other committees as well. The administration’s response to these inquiries will have an impact on how much legislative work gets done. Oversight could strain relations between Congress and the White House to such a degree that cooperation on other issues becomes very difficult. At the same time, because both the President and Republicans in Congress could see it in their best interest to have some policy wins to emphasize in the 2020 elections, they may be inclined to work together on some goals. This balance between oversight and cooperation was on display during President Trump’s post-midterm press conference when he stated that while he would be willing to work with Democrats on infrastructure, he would not do so if he felt they were conducting unfair investigations. It’s encouraging that Washington is abuzz about infrastructure, but certain questions must be answered before a plan can move forward. The first major task will be to define the scope of an infrastructure package. Plans introduced over the last year have included priorities as varied as highways, bridges, railroads, inland waterways, underground water infrastructure, energy grid security, affordable housing, schools, and more. A brief review of these plans gives an idea of what political leaders are thinking and where our priorities have been included. President Trump released his infrastructure plan in February 2018. His blueprint envisioned $200 billion in federal spending to leverage private investment and spur at least $1.5 trillion in infrastructure investment. Specific to water infrastructure, this plan included some streamlining and new financing options, but did not contain any changes that would result in large new investments. Furthermore, the plan did not specify any revenue or funding streams. House Democrats’ infrastructure plan, known as “A Better Deal to Rebuild America,” proposed a $1 trillion federal investment in infrastructure, a pledge to stabilize the Highway Trust Fund (HTF), and a commitment to address water infrastructure needs. The plan did not specify any sources of funding. Senate Democrats put forward an infrastructure plan that calls for $1 trillion in federal investment, and specifically called for investing $115 billion in drinking and waste water infrastructure. This plan proposed reversing some tax cuts included in the 2017 tax reform to pay for infrastructure. Outgoing House Transportation and Infrastructure Committee Chairman Bill Shuster put forward his own draft infrastructure proposal. 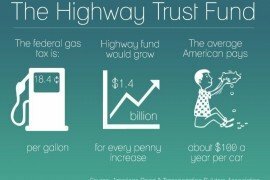 This plan would have stabilized the Highway Trust Fund by increasing the gas tax, and called for a pilot program to study a vehicle miles traveled (VMT) tax to permanently fix the HTF. His plan also focused on water infrastructure by reauthorizing and significantly increasing funding for the Clean Water State Revolving Fund (CWSRF) program. Taken together, these plans provide some guidance about what an infrastructure package might look like in the 116th Congress. For our industry, it is encouraging that water infrastructure was recognized in all of these plans. 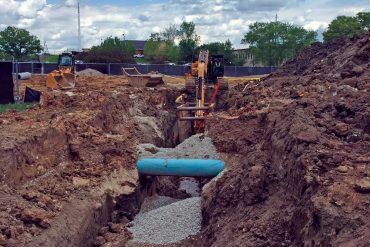 Many lawmakers on both sides of the aisle have also recognized the importance of addressing water infrastructure needs. With that said, given the “out of sight, out of mind” nature of our work, we will have to continue raising the profile of this issue to ensure its inclusion in any package. In addition to determining the scope of potential infrastructure legislation, the most important question remains how to pay for any plan. This is the constant challenge for infrastructure: Everyone agrees that we need to make these investments, but no one can agree how to pay for it. President Trump’s plan favored minimal federal investment that leveraged significant private capital. Other plans, such as Chairman Shuster’s, proposed a gas tax increase. Democrats have favored other direct federal investment. Without resolving the funding issue, infrastructure is likely to remain just a talking point. For this reason, our industry must demonstrate the positive impacts of rebuilding our water infrastructure, including construction jobs, economic activity, and improved health outcomes generated by these investments. Given the political landscape and our past advocacy success, we have the opportunity to play an important role in infrastructure discussions. To be sure, every industry will seek to have its interests represented in an infrastructure package. While these priorities may not conflict with ours, they will certainly compete for lawmakers’ attention. Therefore, it is important that we make our voices heard. 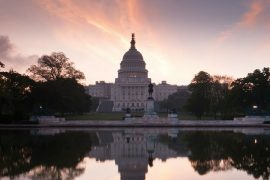 NUCA’s 2019 Washington Summit, which will take place May 21-23, provides an excellent opportunity to have an impact on these issues. With over 100 new lawmakers coming to Congress, we must make sure that they understand who we are and the work we do. Meeting face to face with Members of Congress and their staff is one of the most important and effective ways to influence policy. As a legislative assistant on Capitol Hill before joining NUCA, I remember most the constituents who traveled to tell their stories and experiences. While it’s easy for members and staff to read reports and find statistics, a constituent’s message carries authenticity and credibility that can influence their actions. These meetings serve not only as a chance to influence a member on a single decision, but more importantly, these meetings are a way to establish and maintain relationships. With this line of communication, you make sure that your business and NUCA are at the table during important negotiations. 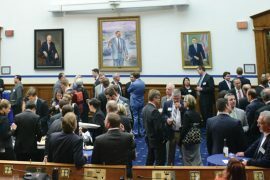 As always, please stay tuned to NUCA’s website and our other publications for updates on congressional activity and more information about the ways you can help to advance our shared goals.